This year the Academy of Nutrition and Dietetics Food & Nutrition Conference & Expo is being held in Houston—aka “Mutt City.” Get ready to dig into a food culture that explodes with diverse, ethnic influences, fresh local foods, and a young, confident culinary style. We asked local food experts about the best places to eat for our annual guide. Houston: It’s where you’ll find an Indian chef cooking up authentic Vietnamese food in a “hole-in-the-wall” restaurant. It’s also where you’ll find the most celebrated chefs borrowing tricks from said Indian chef and his Vietnamese restaurant—turning traditional Southern cuisine on its ear as it takes on a new global infusion. This city is found in an agriculture-rich state—an array of crops, livestock, and seafood abound—offering fodder for dishes that scream fresh and local. It’s also the town of hip, Brooklyn-style eateries—but don’t you dare call them “hip” or “Brooklyn style.” Houston wants to make its own mark in the food world—and with a unique signature at that. You’ll find many of Houston’s coolest eats in the Lower Westheimer borough of the Montrose neighborhood—a strip alive with eclectic flavors, fashionable cuisine, craft beer, and cocktails. “Many people know that you can get amazing Tex-Mex here, but we have a fairly large Asian community that plays a major role in the great Vietnamese, Thai, and Malaysian restaurants available,” says Felice Simmons Sloan, editor and co-owner of Urban Swank, an online magazine and blog. She adds that other ethnic cuisines, such as Nigerian and South American, supplement the incredible offerings in Houston. While you’re visiting Houston, you can experience many exotic cultures by way of these restaurants recommended by our local food experts. • Kim Son Restaurant (2001 Jefferson, 713-222-2461, www.kimson.com): This family-owned restaurant has been serving up authentic fare such as Mekong soup and Vietnamese egg rolls for 30 years. • Huynh Restaurant (912 Saint Emanuel, 713-22-HUYNH, http://huynhrestauranthouston.com): “This is home-style Vietnamese cooking at its best,” according to the Houston Chronicle. • Café TH (2108 Pease Street, 713-225-4766, www.cafeth.com): Consistently showing up on Houston’s top dining lists, this friendly establishment serves traditional foods with a fresh, seasonal twist. • Mai’s Restaurant (3403 Milam Street, 713-520-5300, http://maishouston.com): Brown names this family-owned restaurant, with a 35-year history in Houston, as one of the city’s finest ethnic hot spots. • Jenni’s Noodle House (multiple Houston locations, including 3111 Shepherd Drive, 713-NOODLES, www.noodlesrule.com): Sample Vietnamese vermicelli and noodle soups at this trendy eatery. • Fu Fu Restaurant (9889 Bellaire Boulevard, 713-981-8838): Sloan recommends this Chinese hole-in-the-wall for family-style eating. • Shanghai River Restaurant (2407 Westheimer Road, 713-528-5528, www.shanghairiverrestaurant.com): This local favorite, which serves classic Szechuan and Hunan fare, has been around since 1970. • Banana Leaf Malaysian Cuisine (9896 Bellaire Boulevard, Suite A, 713-271-2338, www.bananaleafhouston.com): Sloan suggests this traditional restaurant for its flavorful dishes, such as mango chicken and sizzling tofu. • Asia Market (1010 West Cavalcade, Suite D, 713-863-7074, www.asiamarkethouston.com): Check out the market’s authentic Thai dishes, such as green papaya salad and hot and sour soup. • Pondicheri (2800 Kirby, Suite B132, 713-522-2022, www.pondichericafe.com): Brown suggests this traditional Indian restaurant, which focuses on classic homestyle and street food using fresh, local ingredients. • Kiran’s (4100 Westheimer Road, 713-960-8472, www.kiranshouston.com): Chef Kiran Verma has won recognition for her modern take on classics such as saag paneer and bhindi masala. • Indika (516 Westheimer Road, 713-524-2170, www.indikausa.com): Houston food writer Robb Walsh—along with The New York Times—praises chef Anita Jaisinghani for her fresh take on Indian cuisine. Try the grilled chicken naan sandwich with spinach, goat cheese, and mango chutney and the saffron ice cream. • Kasra Persian Grill (9741 Westheimer Road, 713-975-1810 or 1801, www.kasrahouston.com): The intense flavors of dishes such as khorake bademjan (lamb) and chicken barg put this authentic restaurant on the hot list for Houston natives. • Cafe Lili Lebanese Grill (5757 Westheimer Plaza, Suite 112, 713-952-6969, www.cafelili.com): Come for classic dishes, including spinach pie, falafels, and kabobs, at this authentic Lebanese eatery. • Niko Niko’s Greek & American Café (2520 Montrose, 713-528-4976, www.nikonikos.com): Voted the “hottest Greek food in town” by locals, this eatery boasts the classics, from creamy hummus to fresh salads. • Aladdin Mediterranean Cuisine (912 Westheimer Road, 713-942-2321, www.aladdinshouston.com): A large menu awaits diners, which includes great beef and vegetable kabobs, gyros, roasted vegetables, and shawerma. • El Tiempo Cantina (Multiple Houston locations, including 1308 Montrose, 713-807-8996, www.eltiempocantina.com): Ellis puts this historic spot, known for its fresh tortillas and carnitas, on his favorite Houston ethnic dining list. • Molina’s Cantina (multiple Houston locations, including 7901 Westheimer Road, 713-782-0861, www.molinasrestaurants.com): One of the first Mexican restaurants in Houston, this classic Tex-Mex eatery is among locals’ favorites. • Ninfa’s on Navigation (2704 Navigation Boulevard, 713-228-1175, www.ninfas.com): Legend has it that this historic restaurant launched the fajita craze when Mama Ninfa stuffed a handmade tortilla with chargrilled beef. • Hugo’s (1600 Westheimer Road, 713-524-7744, http://hugosrestaurant.net): For inspired, earthy Mexican fare, Sloan suggests this eatery. And it doesn’t hurt that Chef Hugo Ortega was a finalist this year for the James Beard Best Chef: Southwest Award. • Américas River Oaks (2040 West Gray, 832-200-1492, www.cordua.com/americas) Americas the Woodlands (21 Waterway Avenue, 281-369-1492): Sloan suggests this vibrant Latin restaurant, which offers dishes such as empanadas, organic quinoa salad, and churrasco. • Latin Bites Café (5709 Woodway Drive, 713-229-8369, www.latinbitescafe.com): Bold Peruvian flavors await you in featured dishes such as Andean lettuce wraps, shrimp chowder, and arroz con mariscos. • Les Givral’s Kahve (Two locations, including 801 Congress Street, 713-547-0444, www.lesgivrals.com): A modern fusion of French and Vietnamese pours forth from this urban café. • Etoile Cuisine et Bar (1101-11 Uptown Park Boulevard, 832-668-5808, http://etoilecuisine.com): Enjoy a true French experience while feasting on risotto de mäis et champignons, Basque-style calamari stew, and warm goat cheese salad. • Charivari (2521 Bagby, 713-521-7231, www.charivarirest.com): This may be your only chance to try dishes from this Romanian region, including blinis with caviar and weiner schnitzel. • Woodrows Heights (1200 Durham Drive, 713-864-5600, http://woodrowsheights.com): Sit on the patio of this “raucous Cajun joint,” Walsh says, for oysters on the half shell, spicy crayfish, and seafood gumbo. This farm-fresh focus runs from organic produce, such as purple-top turnips and green papaya, to humanely raised livestock, including lamb, beef, veal, chicken, goat, rabbit, and pork. And since Houston is a port town, the seas are abundant with seafood, such as Gulf yellowfin, shrimp, and wahoo. “Houston has a trifecta of great farms within 100 miles, the Gulf coast for seafood, and great ranches for raising animals. There’s very little you can’t buy locally in Houston,” Brown says. Many local food experts consider Pope to be one of the first trendsetters of Houston’s farm-to-table movement. She says that when she began forming a relationship with local farmers to provide farm-fresh, seasonal produce and high-quality meats to her restaurant more than two decades ago, it raised a few eyebrows. “People thought it was a cult,” Pope recalls. However, within a decade, farmers’ markets came to town and the city started to embrace this culinary principle. And that’s not all. An artisanal movement is just beginning to emerge, with lots of nurturing from the food community. “There are wonderful cheese makers, charcuteries, bread makers, and bakers—we have the best macaroons,” says Pope, who lists Houston Dairymaids, purveyors of local cheese makers, as one of the city’s shining examples of artisanship. “It used to be that if you wanted a special food, you couldn’t get it. But literally in the past two or three years, you can get anything,” Pope says. Our experts suggest the following establishments for their dedication to local foods. • Oxheart (1302 Nance Street, 832-830-8592, http://oxhearthouston.com): Chef Justin Yu helms this acclaimed restaurant, which was named one of the 10 best new restaurants in the United States by Bon Appétit in 2012. Check out the seasonal garden menu, with dishes such as layered beets with Meyer lemon blossom vinegar, quinoa, and almonds. Yu gives credit to just about every local artisan who contributes to his restaurant, including the leatherworker, fishmonger, bladesmith, potter, street artist, dump truck designer, and farmer. • Sparrow Bar + Cookshop (3701 Travis Street, 713-524-6922, www.sparrowhouston.com): Sparrow has an ever-changing menu, which takes advantage of the latest local ingredients that Pope can track down. 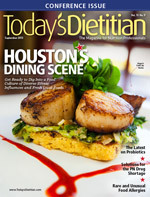 • Underbelly (1100 Westheimer Road, 713-528-9800, http://underbellyhouston.com): Shepherd calls the inspiration for Underbelly “the story of Houston food.” You’ll find local produce paired with bycatch seafood dishes and traditional Southern food, with a kick of ethnic flavor. Case in point: His butcher’s cut with smoked corn purée and heirloom pepper chow chow. Such cuisine enabled Shepherd to become a finalist for the James Beard Award for Best Chef: Southwest. • Haven (2502 Algerian Way, 713-581-6101, www.havenhouston.com): Billing itself as “a seasonal kitchen,” Chef Randy Evans’ green restaurant sources foods from farmers, boatmen, ranchers, and artisans to feature dishes such as free-range deviled eggs with pickle relish, Hill Country wild boar chili, and whole roasted tomato ratatouille. • Zelko Bistro (705 East 11th Street, 713-880-8691, www.zelkobistro.com): Nationally recognized as a Rising Star Sustainable Chef by Starchefs.com, Chef Jamie Zelko’s New American fare features fresh, local ingredients in dishes such as farm chicken breast with Yukon mash, green beans, shallot jam, and pea shoots. “Vietnamese-style crawfish, Gulf seafood with Southwest influence, Texas-style barbeque, and Tex-Mex are all must-tastes for Houston visitors to get a good sense of our dining traditions,” Ellis adds. • Burns BBQ & Catering (7117 North Shepherd, 713-692-2800, www.burnsbarbeque.com): This restaurant is considered the head of the crowd among Houston barbeques. Locals say the secret is definitely in the sauce. • Irma’s (22 North Chenevert Street, 713-222-0767): Walsh calls this “a charming time-capsule Tex-Mex joint,” which also received the James Beard American Classics Award in 2008. Try huevos rancheros and chilaquiles, cheesy enchiladas, and the homemade lemonade. • Gatlin’s BBQ (1221 West 19th Street, 713-869-4227, http://gatlinsbbq.com): Voted Houston’s best BBQ by the Houston Press, Brown puts this on visitors’ must-taste list. • Pizzitola’s (1703 Shepherd Drive, 713-227-2283, http://pizzitolas.com): According to Walsh, when Texas barbecue legend John Davis opened his barbeque joint in 1934, it was a blacks-only establishment; whites had to get their barbecue from the rear door and eat in the parking lot. When John Davis died in 1983, Italian-American barbecue afficionado Jerome Pizzitola took over. • the breakfast klub (3711 Travis Street, 713-528-8561, www.thebreakfastklub.com): This spot is known as the best place in town to get breakfast. Try its soul food signature dishes: fried catfish and grits, and fried chicken wings and waffles. • Hubcap Grill (1111 Prairie, 713-223-5885, http://hubcapgrill.com): Voted as having the best burger in Houston by numerous dining lists, Brown suggests this hotspot for a casual good meal. • Goode Company (multiple locations, www.goodecompany.com): Goode Company features three BBQ locations, one taqueria, and two seafood restaurants around the Houston area, so check out the menus on their website to find the location that will satisfy your craving for seafood, burgers, or fajitas. • Tacos A Go-Go (two locations, including 3704 Main Street, 713-807-8226, http://tacosagogo.com): This fun, quirky eatery features fresh tacos, from pork guisada to beef picadillo, and much more. • Paulie’s (1834 Westheimer Road, 713-807-7271, http://pauliesrestaurant.com): Nominated as “best cheap eats” in Houston, Sloan recommends this establishment for fresh pasta, pizza, sandwiches, and salads. • Uchi (904 Westheimer Road, 713-522-4808, http://uchirestaurants.com/houston): This acclaimed modern Japanese restaurant combines local, seasonal ingredients with seafood in dishes such as maguro sashimi and goat cheese. • Brennan’s of Houston (3300 Smith Street, 713-522-9711, www.brennanshouston.com): A more than 40-year-old iconic establishment, this restaurant offers Texas Creole fixings, including Gulf fish Pontchartrain and redfish étoufée. • The Pass and Provisions (807 Taft Street, 713-628-9020, http://passandprovisions.com): This restaurant brings to life a unique experience of chefs connecting with their customers over meals—all with such elegance and style you’d think you were in Manhattan. • Reef (2600 Travis, 713-526-8282, www.reefhouston.com): Chef Bryan Caswell has caught the food world’s attention, winning a string of awards, such as Top 10 Best New Chef by Food & Wine for his accomplished skills in preparing Gulf Coast seafood with a Mediterranean and Asian flair. • Anvil Bar and Refuge (1424 Westheimer Road, 713-523-1622, http://anvilhouston.com): House-made bitters, sodas, infusions, and liquors inspire the spirits in this 1950s brick building that once housed a tire store. • The Hay Merchant Craft Food & Beer (1100 Westheimer Road, 713-528-9805, www.haymerchant.com): If you’re a beer enthusiast, you’ll be happy to find an astonishing array of craft beers with great pub foods, such as Vietnamese chicken wings and grilled shrimp salad. • The Original OKRA Charity Saloon (924 Congress, 713-237-8828, www.friedokra.org/charity-bar.html): A collaborative idea from OKRA’s (Organized Kollaboration on Restaurant Affairs) founders, including Yu and others, this bar’s proceeds are donated to a different Houston-based social cause each month. For every drink, you receive one vote to cast in deciding the particular social cause to which the proceeds will go. — Sharon Palmer, RD, is a Los Angeles-based foodie, the author of The Plant-Powered Diet, the editor of Environmental Nutrition, and a contributing editor at Today’s Dietitian.